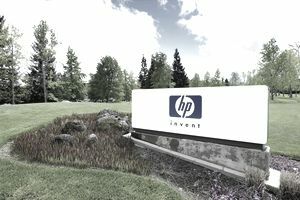 Hewlett-Packard (HP), headquartered in Palo Alto, California, is a success story that literally started in when Dave Packard and Bill Hewlett worked out of Packard’s garage with an initial capital investment of $538 back in 1939. The name, Hewlett-Packard, was decided on by the flip of a coin and Packard-Hewlett lost. For over 50 years, 1940s–1990, the company’s primary focus was on electronic products prior to moving to the semiconductor business later on. Hewlett-Packard is recognized as the founder of Silicon Valley and is also recognized by Wired Magazine as the producer of the world’s first commercial personal computer, the HP 9100A, developed in 1968. One decision the company made that was a mistake was to not market a computer designed by one of the employees, Steve Wozniak. This computer went on to be the Apple 1, and along with his close friend, Steve Jobs, they both went on to become the founders of Apple Computer, which I am writing this article on today. The 2000s were a decade of acquisitions for Hewlett-Packard. In 2001 H-P acquired Compaq Computers, who had previously purchased Tandem Computers in 1997 and taken over Digital Equipment Corporation in 1998. On May 13, 2008, HP signed an agreement to purchase EDS and then in 2009 they acquired 3Com for $2.7 billion and then Palm, Inc. for $1.2 billion in cash. Palm with actually the predecessor to all of today’s Smartphones and Tablet Computers. Summer Internship assignments at Hewlett-Packard last 10-12 weeks. Interns have the chance to be a part of the unique culture and work environment at HP. Interns are offered a suitable level of challenge, a variety of work projects (often in a team environment), along with the coaching and support from mentors and professionals who help students learn what it takes to become successful in the field. Strong academic achievement in a technical or business curriculum working towards a BS, BA, MS, MBA, or Ph.D. degree. All applicants must be a US citizen or national, a US permanent, a student who has been granted asylum, or a refugee (which does not include non-immigrants such as F-1, H-1 or J-1 visa holders). Hewlett-Packard offers internships in the following locations: San Diego, San Jose, Sunnyvale, & Palo Alto, CA; Colorado Springs, CO; Austin, Plano, & Houston, TX; Cambridge, MA; Boise, ID; Corvallis, OR; Berkeley Heights, NJ; Alpharetta, GA; Herndon, VA; and numerous locations around the globe. For co-ops, a student’s first assignment can last 1-2 semesters per term. Following that, students may work additional semesters according to their academic schedule. Students will be able to rotate in and out until graduation. Students must be registered with their school's co-op office. Students can upload a resume or fill out the online submission manually.